How do I become a member of the EIA? Are EIA members required to support applicants for assistance? What are the benefits of joining the EIA? What types of companies does the EIA assist? Does the EIA meet on a regular basis? Is EIA membership restricted to corporations or can an individual join? Is there a cost to become a member of the EIA? Are there any restrictions on the type of applicant who will ultimately receive support? What is the relationship between the EIA and the Entrepreneurial Insurance Symposium? Can anyone apply for an Entrepreneurial Award? 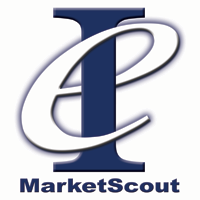 Contact Diahann Doyen at ddoyen@marketscout.com or 972.934.4264. She will send a listing of information necessary to make an application for membership. Upon receipt, your application will be presented to the EIA board for approval. The process normally takes about one week. No, any support provided is completely at the discretion of the EIA member. Some members may feel the applicant has a good idea or business plan while others do not. As with any business initiative, the most important benefits to be derived from the EIA is networking with other innovative executives. In addition, the ability to preview the new ideas and companies that are in the market is a huge benefit, rather you choose to participate or not. Each member brings a wealth of experience and connections. The EIA assists any group of entrepreneurs in need of assistance in forming new companies, launching a new idea or for expansion of an existing infrastructure. Regular meetings are done via electronic teleconferencing. The EIA meets in person every year in mid September in Dallas, Texas and in New York City in March. Membership is designed for corporations; however, it is possible for an individual to become a member. $95 for an individual. $2,500 for a corporation. Yes, there is one restriction. The business receiving support must be in the insurance sector in some manner. The EIA members help develop the agenda and select speakers for the symposium. They also select the finalists for the Entrepreneurial Awards. For more information on the symposium please visit www.einsurancesymposium.com. Yes, provided your idea is in the insurance sector. Simply complete the award application under the “Awards” tab of this website. ©2011-2012 All Rights Reserved. Designed by Free CSS Templates.